Recently, BMW introduced the latest generation of the 2 Series, which features the most recent BMW TwinPower Turbo 4-cylinder and 6-cylinder inline engines to come paired with specially-tuned chassis and suspension. The new BMW 2 Series will be sold in the United States as Coupe and Convertible 230i and M240i models. The 4-cylinder 230i model generates 248 horsepower, while the M240i M Performance model employs a 3.0-liter 6-cylinder engine that powers out 335 horsepower and 369 pound-feet of torque. Both engines are paired to an 8-speed Steptronic Sport transmission, which offers both automatic gear changes and the opportunity for the driver to employ shift paddles next to the steering wheel to change gears at their whim. 230i Coupe and M240i models also offer an available 6-speed manual transmission. xDrive, BMW’s intelligent all-wheel drive system, is available for both Coupe and Convertible models. This system offers optimum power transfer, driving safety and maximum traction on slippery roads, while also reducing understeer and oversteer in the corners. Thanks to the advanced suspension technology, low center of gravity and nearly-ideal weight distribution, drivers can enjoy outstanding driving dynamics and handling. The next-generation 2 Series will be available for sale later this summer, as part of a new model lineup introduction that includes the BMW M2 Coupe. 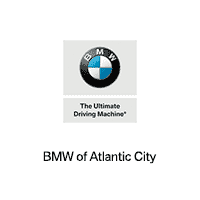 Contact BMW of Atlantic City to speak with a member of our team and find out more details about the latest generation of the BMW 2 Series.